To get people interested in your brand and have them become loyal customers, it's no longer enough to simply produce a good product or provide a great service. What buyers are looking for today is an impeccable user experience—one that really makes them feel like they're getting their money's worth. This is why top brands appeal to their customers' emotions; they realize most purchases aren't rational. Your brand exists in the minds of your audience as all the experiences, impressions and interactions they've had with you, both positive and negative. The power of branding is so incredible that 72% of marketers say branded content is more effective than print advertising. 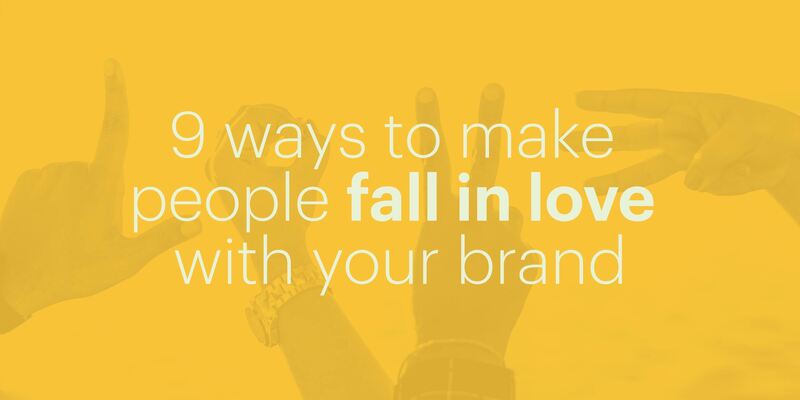 To help you harness that power, here's our list of 9 ways to make people fall in love with your brand. This is where many brands go wrong. They choose to toot their own horn and go on about how great their product is, when in reality, the market couldn't care less about it. What they really care about (whether they're looking to buy a lawnmower or reaching out to cheap writing services) is what the brand and its product can do for them. Make sure your brand focuses on how buying your product will solve a particular issue for your audience or address a particular pain point. Make them feel like the hero for choosing you. While it's fairly easy to assume that the attention span of most millennials is only a few seconds or that older generations are not present on social media... If you're basing your branding strategy on these assumptions, you have failed spectacularly right off the bat. Researching your target audience and identifying their needs is crucial if you want your brand to connect with them on an emotional level. Find ways to speak to your customers—and ideal customers—about what really matters to them. According to research, 57% of consumers say that brand's failure to respond to negative feedback is a good reason to cut ties with that brand. Responding to user feedback and acknowledging it, even if it's negative, can help turn things around if you try your best to remedy the issue. By responding to customer reviews and feedback, you're showing that communication is a two-way street, and that your brand is not generic and faceless like all the others out there. Obviously, the whole point of marketing and building your brand is to get potential customers to purchase from you—but getting there doesn't have to involve you pushing for a sale. For example, you can provide your audience with helpful, applicable, free content that will help them overcome a particular problem. What this does is inspire trust and establish you as an authoritative resource. When they're ready to make a real purchase, your brand will be their first choice. One of the most effective ways to create a positive brand experience is to delight customers by delivering more than you initially promised. For instance, if you surprise them with a discount or throw in a free sample, they'll be thrilled. While it might be a sizable investment on your part, keep in mind that customer loyalty can be worth ten times more than a single purchase. While mobile advertising and branding are the trend of the moment, how successfully you're going to reach your consumer audience depends on how well you've done your research. For instance, if you're trying to reach older people with your brand, you might assume mobile advertising is off-limits. And while it's true many of them don't use social media, they do still use smartphones—which would mean that your brand might benefit from SMS marketing. Think carefully about all your options, and don't take any off the table before giving them proper consideration. Instead, focus on how amazing that first cup of freshly brewed coffee feels on a lazy Sunday while the kids are still in bed. You're selling a better quality of life, and your product can make that happen. Figure out how to tell a story that captures what your brand can really do for your ideal customer. Up to 90% of purchases are influenced by visual factors—especially color, which can increase brand recognition by up to 80%. Having a website which features eye-catching responsive design is a must, but your brand identify should also extend to your social media, marketing materials and product packaging. Every visual touchpoint is an opportunity to tell your brand story, so don't let them go to waste. Make peace with the fact that your brand cannot be all things to all people. While casting a wide net might help you attract a bigger audience, it might not be worth it when you take into account all the marketing expenses. Instead, find your intended audience online and figure out what they want. Regardless of what your product or service is, there's a target audience for it out there. It's up to you to find out where they are, how they communicate, and what they value. These techniques will not only make people fall in love with your brand—they will keep them coming back for more. And when it comes to building brand loyalty and driving growth, that's really the best-case scenario, isn't it? Tell your brand's story beautifully and consistently with Lucidpress, the world's only brand templating platform. Tiffany Harper is a talented writer from New York, an extremely active woman, and a real leader. 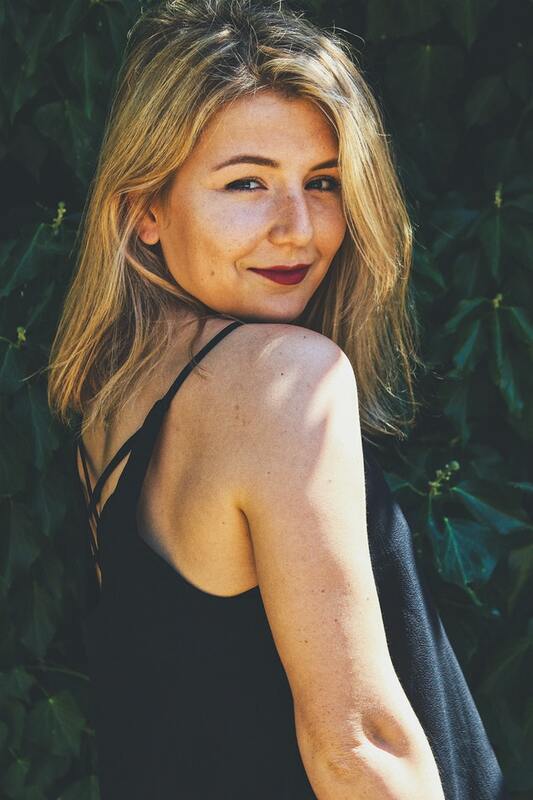 She began her career as a journalist, later becoming a writer and editor. Now she works as an experienced freelance writer specializing in business, technology and education. Follow Tiffany on Twitter: @harper_tiffany.